When a bumper crop of figs leaves you with more of the juicy, dark fruits than you can eat at once, dry them for long-term storage. An electric dehydrator with its own trays provides almost all you need to complete the drying task. If you don't own one, cookie sheets lined with slightly smaller wire racks make oven-drying a straightforward task. 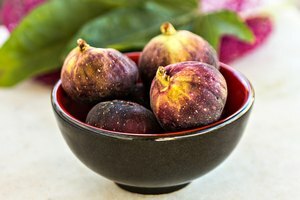 How you prepare the figs prior to drying them depends on whether you plan to dry them whole -- preferable for smaller figs -- or halve larger ones. Figs, which have edible skins, can be dried either peeled or unpeeled. Peel the whole figs, if desired. 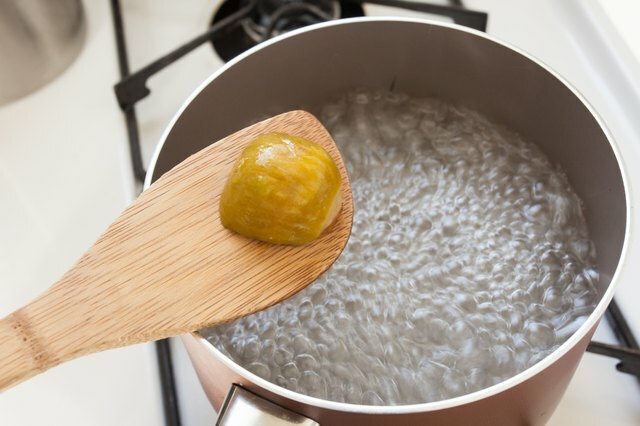 Set a large stockpot filled with water over medium-high heat. Once the water comes to a boil, add the whole figs. Leave them in the water for 30 seconds, then drain them. This step "cracks" the figs, allowing moisture to evaporate form the center during the drying process. 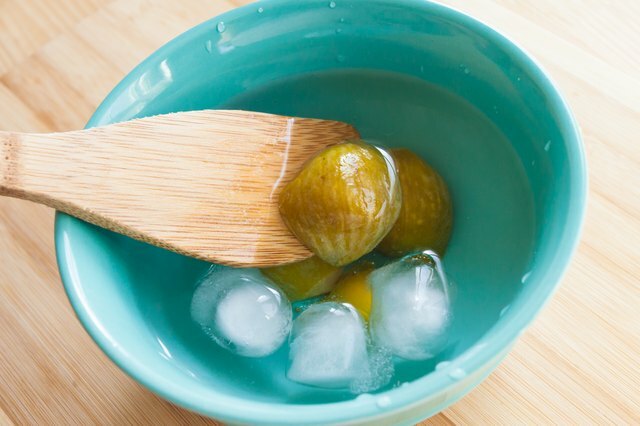 Plunge the figs into a bowl of cold water as soon as they're drained. Then place the figs on paper towels. 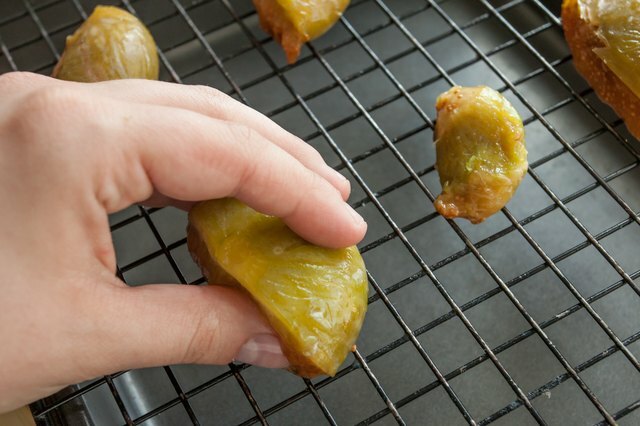 Pat the figs dry and place them in single layers on dehydrator trays or rack-lined cookie sheets. 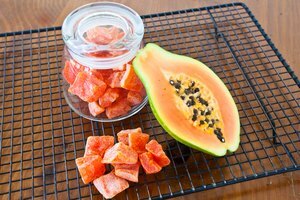 Set trays in a dehydrator or oven set to 140 degrees Fahrenheit. If using an oven, prop the door open a few inches. Turn the figs every 3 to 4 hours. Tongs can keep your hands protected from stickiness and heat. 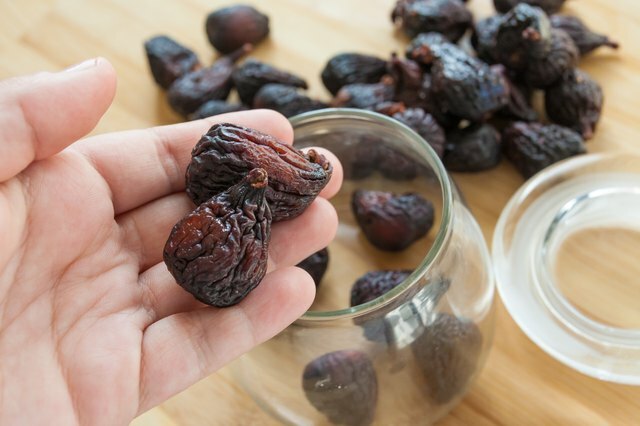 Dry the figs until they are shrunken and mostly moisture-free, but can still be bent easily. This takes 12 to 24 hours. They dry more quickly in a dehydrator than in the oven. Condition the dried figs by stacking them loosely in a container and covering them with their lids. Set them in a dry, airy place for about one week, shaking them every day. 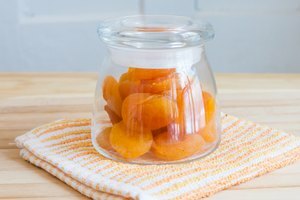 If you see moisture inside the container, re-dry the fruits. Conditioning dried fruits makes all of the pieces have the same moisture content, which reduces the chance of spoilage during long-term storage. 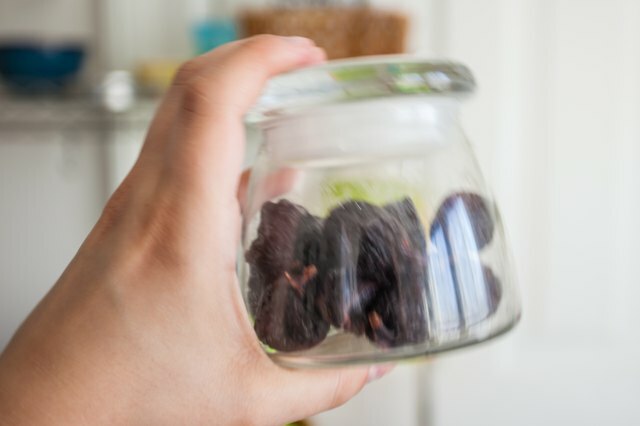 Store the dried figs in glass jars or freezer bags. 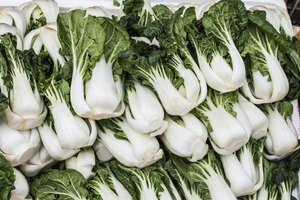 Keep them in the refrigerator, freezer or a dark cabinet. Peel whole figs, if needed, then slice them lengthwise into halves. 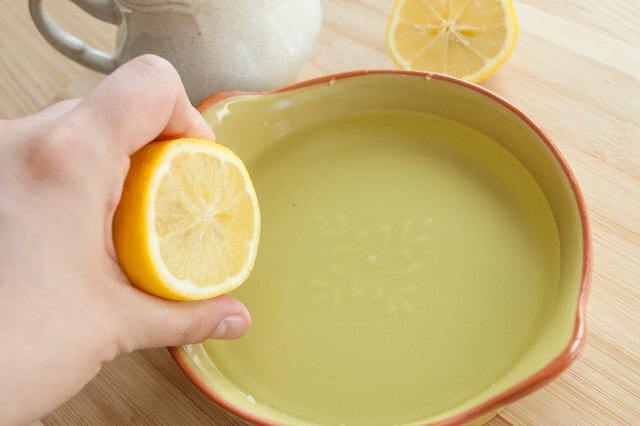 Mix equal parts lemon juice and water to create a dipping medium. 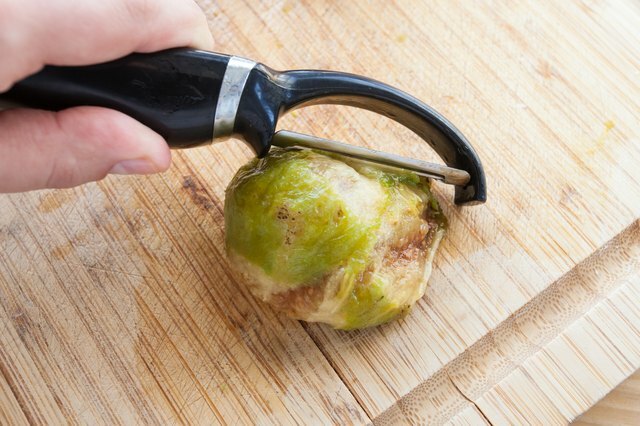 Use enough liquid to cover your fig halves. 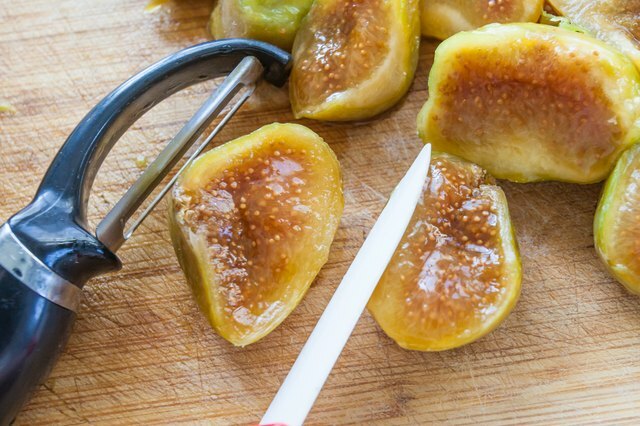 Set the fig halves in the liquid for 10 minutes, then drain them on paper towels. This step protects cut fruits from airborne bacteria and softens tougher fruits like figs. 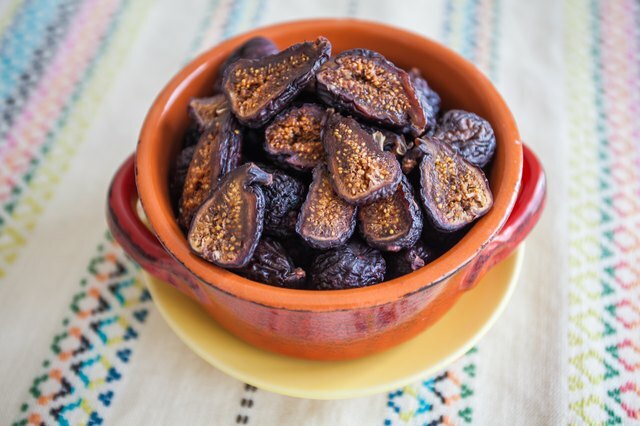 Follow Steps 4 to 8 from Section 1 on drying whole figs. Instead of lemon juice, you can use water mixed with ascorbic acid or citric acid as an antimicrobial dipping solution for cut figs. Both powders are readily available in drug and grocery stores. Use about 2.5 tablespoons of ascorbic acid, or 1 teaspoon citric acid, per 1 quart of water. 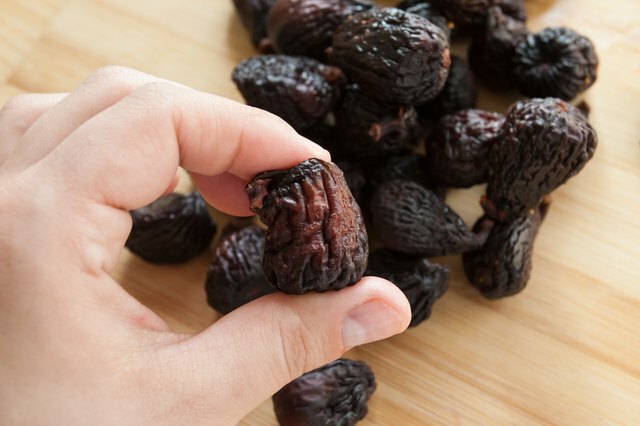 Check the dried figs frequently. If moisture has formed on the sides of the storage container or bag but the fruits seem fine, use them up quickly. 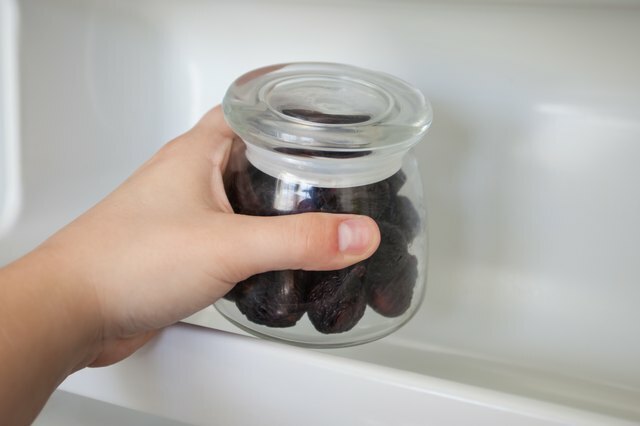 Throw away the dried fruits if they change color or smell bad.